Hardwood floor repair and how to get good results every time. We were recently doing a project where a hardwood floor repair was needed.We had removed several columns and when these were taken out it left 2 areas without hardwood flooring. The flooring had come up to the columns but stopped. So it just left gaps in the flooring that had to be dealt with or it was going to look pretty bad. The option we had was to take some of the hardwoods out of a closet and use that for the Hardwood floor repair. We would later go back to the closet and put something back in that area. We will let the homeowner decide what that might be. One of the biggest things to overcome is getting this new material in with the old. 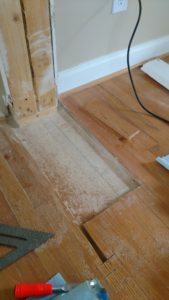 Harwood floor repairs are difficult because they are installed as a tongue and groove material. It’s not meant to be taken out or pieces put back in. So it took a little time and several different tools to get the job done. One of the first steps were to prep the existing floor. We have to cut out staggered boards so the joints are not all in the same place, which you would never see in the original plank installation. 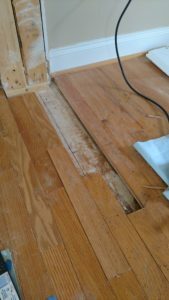 They will always be staggered.And you don’t want to see that when you are doing a hardwood floor repair because that’s going to look like a repair. 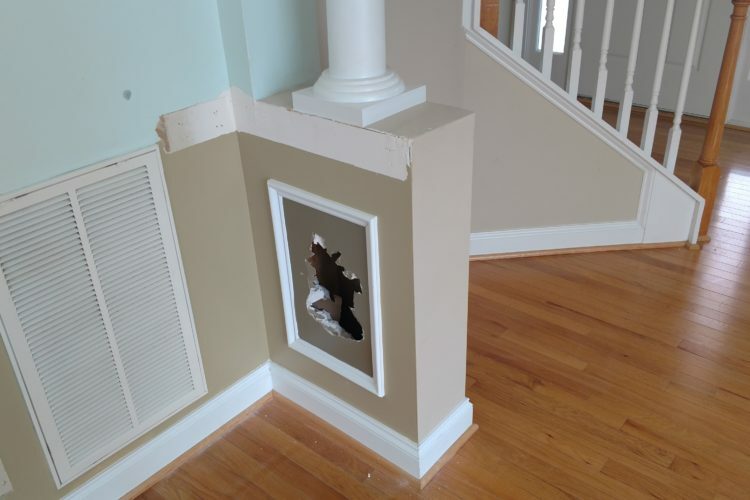 And you don’t want to see joints side by side when you are doing a hardwood floor repair because that’s going to look like a repair. As we move along here you will see the finished product. 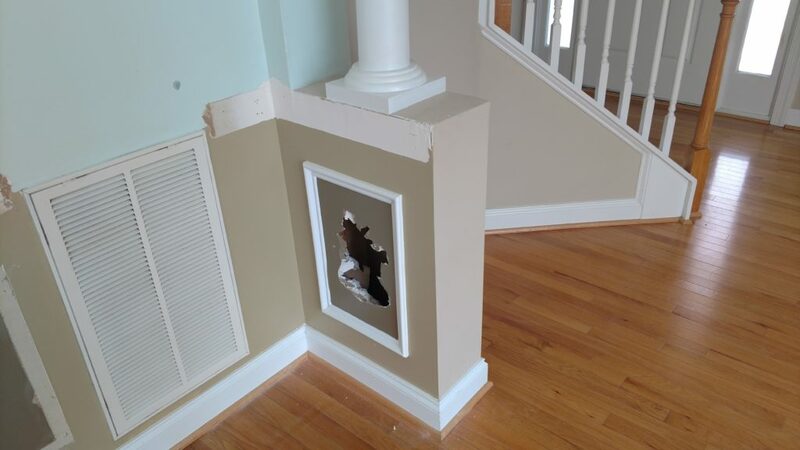 It did work out to look pretty good and the homeowners were pleased with it. 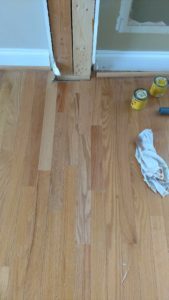 With a little time you can get a good outcome and makes these hardwood floor repair projects a little easier.